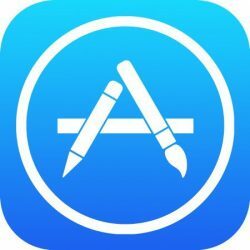 Apple has allegedly begun removing iOS apps originating in Iran from the App Store, according to reports over the weekend. Tech news site Techrasa posted a story claiming that the biggest e-commerce service, Digikala, had its app removed from the store a few days ago (Via TechCrunch). The removal appears to relate to international trade laws. No official App Store exists for Iran, so Iranian startups and developers often register their apps as being outside the country to get onto the store. Apple has been allowing the Iranian apps onto the App Store since September 2016. Digikala runs the Shaparak payment system which is totally isolated from international systems, so in theory it would not contravene Apple's terms and conditions. Several Iranian banks also offer iOS apps that are side-loaded onto phones, notes TechCrunch. "Unfortunately, there is no App Store available for the territory of Iran. Additionally, apps facilitating transactions for businesses or entities based in Iran may not comply with the Iranian Transactions Sanctions Regulations (31CFR Part 560) when hosted on the App Store. For these reasons, we are unable to accept your application at this time. We encourage you to resubmit your application once international trade laws are revised to allow this functionality." It's still not clear exactly what part of the regulations the apps have contravened. We'll update this story if further details emerge in due course. "Its Not a Policy We Support :cool::D"
You mean the democratically elected president. Awful when it doesn't go your way isn't it? Hypocrite with a capital EVERY LETTER. Iranian apps, huge threat to the national security. The Saudi-Arabian and Turkish ones are ok tho. Maybe you're just trolling but I'm so tired of seeing this nonsensical description of the voting process of our Republic. Working as intended by our Founders, by the way, despite massive attempts to interfere with that process with such things as the 17th amendment for instance. It isn't that the rural areas are more important, it's that no area is more important. Check a county by county election result map if you're interested in an example of the need for such a system. If you're being reasonable and open to discussion you'll begin to understand the wisdom of our republican form of government as established by our early political figures. To prevent the drowning out of less populated areas of our nation by those with huge urban centers. Hence the two houses of Congress. One for the people, one for the states, the Senate, where all states are EQUAL. The 17th has done much to damage that balance and a return to the original intent would go a long way to reestablishing order. Our Founders, Jefferson in particular, were extremely wary of large urban centers and the havoc they eventually wreck on governments and the citizens of a nation through corruption. They were coming from Europe where such evil was visited daily on its citizenry by pompous, arrogant, aristocracy and monarchies. Disdainful of those they deemed unenlightened and beneath them. You know the type, right? Cheeto loving peasants. Some are responding to this thread like Tim personally wanted to do this. Read the second paragraph. Wanky trade laws to blame. No hope of improvement whilst the Ginger wannabe Führer remains POTUS. CNN's Headline: Apple Bans Muslim Apps!